St. Matthews is situated in the heart of the Hastings business district within the grounds of St. Matthew's Anglican Church. The centre is licensed to provide educational care for 35 children (5 places for under 2 year olds and 30 places for children over 2 years old). The centre is open from 8am until 5pm. Full and part time places are available and all of the children have the opportunity to learn and to interact together. The Te Whāriki Early Childhood Curriculum is well suited to the centre's culturally diverse role. Every child's identity, language, culture, strengths and interests are incorporated into their play and learning. The centre also has a wider community focus which supports the children's different backgrounds. The St. Matthews Teachers support and extend each and every child's individual interests and capture such treasured moments in special keepsake narratives and photographs for the Whānau. Playing and having fun are key components of the St. Matthews Philosophy and Curriculum. The parents and whānau’s aspirations and expectations for their children are listened to and respected. The Teachers’ response to this information is visibly woven throughout the assessment and planning documentation and teaching practice. 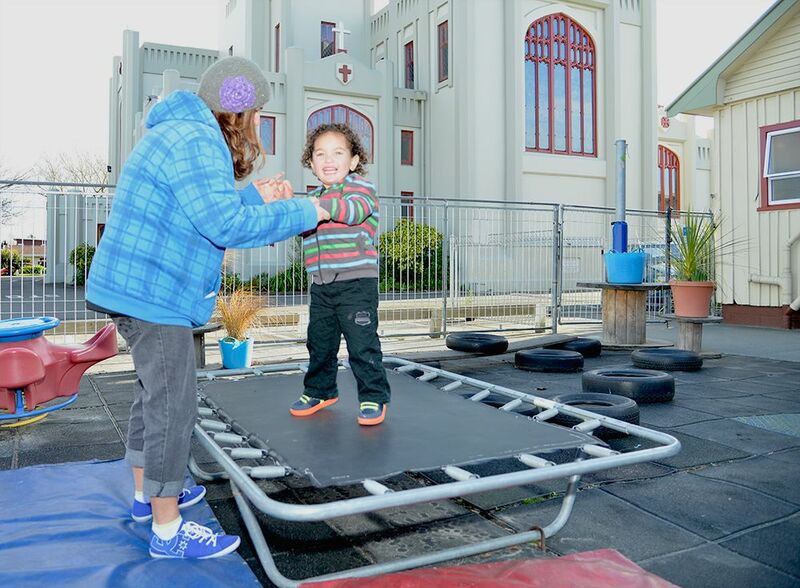 The Early Childhood Centre prides itself in the positive environment it provides for both Teachers and Tamariki. A long standing team of committed Early Childhood Teachers enables the incorporation of professional knowledge and skills into the daily curriculum and contributes to the high quality service provided’. Our Philosophy: Children learn through play and a stimulating environment. Teachers are trained to extend children’s knowledge and development and enhance their cultural awareness. We will promote their confidence and independence. Together we will have fun.